The Xerox DocuColor 700 Press offers full production printing capability in a small footprint. This workhorse offers enhanced automation to streamline production, ensuring quick turnarounds for your customers. 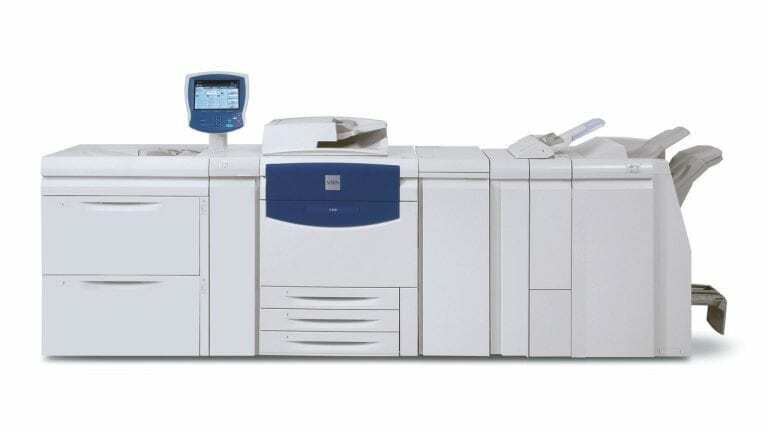 Designed to run heavyweight stocks seamlessly, the DocuColor 770 offers the ability to expand the services you can provide. The Xerox Emulsion Aggregation toner works in conjunction with the Automated Color Quality Suite to ensure that your prints come out crisp, clear, and with exceptional color. Added onto this, the DocuColor 770 has enhanced inline finishing options, allowing you to accommodate a wide variety of media and seamlessly produce even the most demanding jobs. Combine all this with an easy-to-use interface that offers unparalleled control over your printing and you have a package with unmatched value and flexibility. User Interface: Easier to use, offering greater flexibility, while providing more operator information and control over critical issues such as alignment and registration. It lets you create and store custom paper profiles for repeated use. 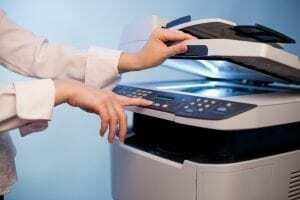 Document Handler: Holds up to A3 originals; Duplex Automatic Document Feeder (DADF) reliably scans two-sided originals automatically. Oversized High-Capacity Feeder: For larger stocks, choose one or two robust production paper trays each holding 2,000 sheets of coated or uncoated media.Reliable paper movement prevents misfeeds. This production-class feeder has four blowers, an advanced roller system, and a centre registration system (shown). High-Capacity Feeder: Optional high-capacity feeder holds up to 2,000 sheets of paper (not shown). Sensor provides adjustments to deliver ±1 mm front to back registration. Load-While-Run Toner: Provides longer print runs and enhanced productivity. Two black toner SMart Kit® replaceable units keep replenishment intervention to a minimum and productivity to a maximum.SMart Kit replaceable units for toner, drum rolls, fuser and waste toner bottle raise uptime to all-time highs. Image Quality: 2400 x 2400 dpi resolution. The self-cleaning Corotron assembly offers improved productivity and image quality. Selling point of the Xerox DocuColor 770. 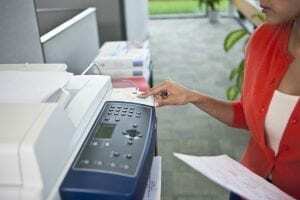 The selling point of the Xerox DocuColor 770 is that it will do everything the Xerox DocuColor 700i will do but it will run at a true rated speed. Meaning it won’t slow down on thicker paper or larger sheet size. There is a built in in-line color spectrophotometer that allows you to calibrate with a click of a button on the external fiery. Controller options for the Xerox DocuColor 770 is the external fiery and the Xerox Freeflow controller. These machines are ideal for color print volumes ranging from 25K-100k per month.